These leaked images reveal (almost) everything. We’re only a little over a month away from the official debut of the second generation BMW 8 Series. The , beginning on June 16. While BMW has never been shy , evidenced by the concept as well as the automaker’s own spy shots, we have yet to get a clear picture of the interior. Until now, that is. Thanks to , someone has snapped some high def images of the interior of the M850i (notice the M-badge under the gear shifter). Though there’s still some plastic covering the two-tone red-black leather-covered seats, this is the final production spec interior. 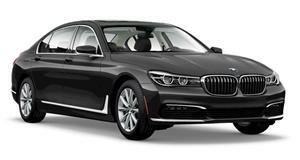 There are several familiar BMW design cues, but overall this interior is meant to inaugurate a new styling era for BMW. It has been aware for some time now that its interiors were lagging behind those of arch rivals Audi and Mercedes-Benz in terms of overall fit and finish and design. The new 8 Series will change all of that. From what we can clearly see here, there are still some buttons, located below the air vents, but one of BMW’s goals here was to make things less complicated, i.e. fewer buttons. This has clearly been done. Above those vents is a large touchscreen which is probably somewhere in the neighborhood of 12 inches in length, give or take. Center console controls also appear to be simplified, all of which are located entirely in close proximity to the gear shifter and iDrive control rotary knob. A pair of cupholders is located directly in front of this. Also notice an abundance of aluminum trim, specifically surrounding the air vents and dashboard. The steering wheel is also very familiar in appearance. Behind is it is the fully digital driver’s gauge cluster, which looks pretty massive in size as well. 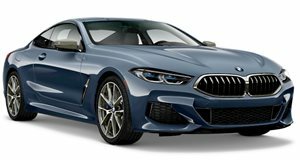 Considering the official 8 Series debut is just around the corner, don’t be surprised to see additional leaked images of the production car, both inside and out.